How Do The Prayer Rooms Work? Why Do You Need A Prayer Room? 24-7 prayer started by accident in September 1999, with a bunch of young people in England who got the crazy idea of trying to pray non-stop for a month. God turned up and they couldn't stop till Christmas! 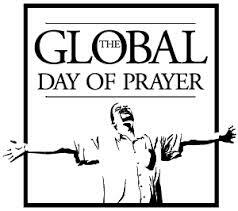 From there the prayer meeting has spread into many nations, denominations and age groups. Hundreds of non-stop prayer meetings now link up here on the web to form a unique chain of prayer. 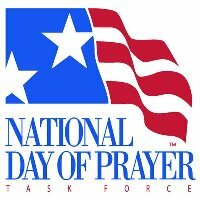 Participating groups pledge to pray 24 hours a day for a week or more in a dedicated prayer room. They then "carry the baton of prayer" for that period. The prayer passes from location to location in a never-ending flow linked up by the Worldwide Web. We are a virtual community praying in real locations. Right now someone, somewhere is praying 24-7. Locating the prayer season in a specific location seems to be one of the keys to the effectiveness of 24-7. Why? The Holy Spirit can fill a place as well as a person (Acts 2.2, 16.16). There's often a strong sense of God's presence in such a place of prayer, even experienced by non-Christians. Time often goes quicker! Many have reported that "in the prayer room one hour feels like 10 minutes." Evangelistically the prayer room is excellent. Non-Christians have often sat in such places to pray; some have said that they can feel God's presence. People who don't want to be preached at still like to be prayed for. The prayer room enables people to pray non-verbally, by posting artwork, poetry and graffiti on the wall. The environment can be artistically designed to stimulate and direct prayer. The room provides accountability - a place where people have to turn up, and this ensures a constant flow as one prayer shift hands the baton onto the next. Visiting the room is like a mini-pilgrimage. A shared location provides a strong sense of being part of a community carrying each others' burdens, celebrating the breakthroughs together and ministering to one another. You are more than a link in a prayer chain. *** Oh yes, church buildings! Because bold, persistent prayer is effective. First, it changes us. Then it changes the world. Jesus told stories to encourage us to "cry out day and night" (Lk 18) and to persist in prayer. Pentecost came to a prayer room. Paul urged the Thessalonians to "pray constantly." Celtic Monks at Bangor Abbey in Ireland prayed continually for 200 years. A young Celt called Ciaran formed a community in Clonmacnoise near Dublin back in 547AD. Sadly, Ciaran died after just seven months but the community prayed for about 1,000 years and sent out missionaries all over the world! The pope decreed continual prayer in certain locations in the 15th century. Many revival centers today see 24-hour prayer as a necessity. Good question! It only takes 24 people to pledge an hour a day to fill a week. If you feel your group isn't big enough, you can join with other groups or Churches in your area to fill the week together. If you truly feel you are not big enough to fill a week, then try a day or weekend to give people a taster of non-stop prayer. If you register with us, we will still send you all the resources. Many groups realize that continual prayer is a challenge, but it's in rising to the challenge that they push themselves and discover a new hunger for time with God! A 24-7 Prayer Room can be organized by anyone with a heart and passion to see people meeting with God. We do recommend though that it be organized with the approval of your Church/youth group/CU leadership. If you are not in leadership, meet with the appropriate people, share the vision and offer to make it happen! A Prayer Room helps build a sense of community and ownership throughout your week(s) of prayer. It also provides a built-in accountability as people need to turn up on time to "pick up the baton" from the person praying before them. Having a specific room kitted out with arts materials and suggestions for prayer creates a very conducive and creative environment. As the room begins to fill with people's prayers and heart cries, it can reveal what God is doing in the lives of your group. Wouldn't we be better to build up to this gradually? There's something about the extreme challenge of 24-7 Prayer that makes it work! Water down that challenge and you lose the dynamic. There are always a million good reasons to put it off and no one ever feels truly prepared to go for it the first time, but the sheer nature of continual prayer means you have to depend on God from the onset. If your group is particularly small, then you can register for two or three days with your first room, but think seriously about whether you want to take on the challenge of a week! The size of your group. If 35 people commit to pray for an hour a day, you'll easily fill a week. Some will prefer to pray in pairs, while others will want the room to themselves. The strength of your community. Often what makes a Prayer Room work is not the number of people you have, but the sense of community within your group. Some large Churches have struggled to pray for a week because their members aren't used to attending anything other than a Sunday meeting. One group of 20 students in Belfast found that they couldn't stop after their week of prayer and a Church of 100 in London prayed for an incredible 15 weeks! The rhythm of prayer. Many groups find that a week is not long enough, and often continue to pray for longer. Though it is fantastic to flow with what God is doing, we do recommend that wherever possible, new groups aim for a week for their first Prayer Room. A week is long enough to be a challenge but short enough to be an achievable goal for most groups. Wherever possible, we recommend that groups don't continue to pray unless they are confident they can fill any additional time. It is better to end a week on a high with a hunger for more time with God, than to continue and burn everyone out. No worries! Just stop, relax and realize that even though you didn't reach your target, you've probably just mobilized the most prayer there's been in your area in ages!! !